A Christian and practicing Catholic, Mr. Lenar will share his testimony about signs, wonders, and miracles. 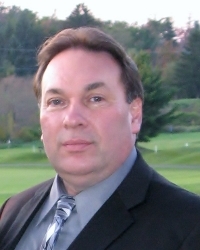 DENVILLE, N.J. - Dec. 16, 2015 - PRLog -- Loci B. Lenar, the founder of www.christian-miracles.com is scheduled to be interviewed on Sunday, December 20, 2015 on the Catholic radio show, "Cause of Our Joy," hosted by Joe Ott on WACE 730 AM, Chicopee, MA. The radio program will focus on locutions/messages that Mr. Lenar has received from Jesus and Our Lady regarding lawlessness and violence seen around our world, including prayer support for those who visit the website, as well as Mr. Lenar's healing from the Anointing of the Sick, a sacrament of the Catholic Church. More information about Mr. Lenar is available by visiting http://www.christian-miracles.com. Mr. Lenar is a parishioner of Saint Mary's Catholic Church and his spiritual director for over twenty years is Fr. Richard Tartaglia. The parish is located on Myers Avenue, Denville, New Jersey, USA. With over 3.8 million visitors since its inception - www.Christian-Miracles.com is growing and helping to lead the way in the New Evangelization by reaching a global community with visitors coming from the USA, Canada, United Kingdom (UK), India, Australia, Philippines, Singapore, Germany, Brazil, United Arab Emirates, Ireland, and many other countries. If you're unable to listen to the program in your area, a recording of the radio show will be available after December 20th on http://www.Christian-Miracles.com.